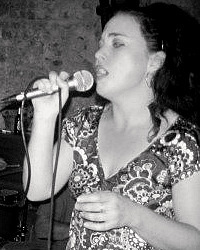 Rachel Dempsey (singer, ethnomusicologist, educator) has been running Global Harmonies workshops and events since 1997. Rachel is dedicated to promoting harmony in individuals, communities and the world, through singing and voice work. She has trained in Sound Healing with Daniel Perret and has a Masters degree in Ethnomusicology (see dissertation on the healing voice here) as well as experience performing and many years of musical travel and research around the world. Through working with a huge variety of groups over many years, Rachel has become a very effective, relaxed and intuitive facilitator. What Rachel brings to her workshops is a commitment to her own personal healing journey, innate and intuitive musicality, a fascination with energy work and multicultural healing modalities, a knowledge of wisdom from global cultures, a deep awareness of the particular times we are living through and the urgency of cultivating interconnectedness, healing, care for the planet and each other and a lifelong passion for group harmony singing. As well as running Global Harmonies, Rachel currently living in Greystones, Co. Wicklow raising her two sons and is also a passionate development educator and activist, delivering training for trainers in global issues such as Zero Waste, food sustainability, women’s issues, globalisation and more. She also founded the popular Facebook group Zero Waste Ireland and the Conscious Cup Campaign. Read Rachel’s full biography here and read praise for Rachel’s facilitation skills here.